Over the past six years – and after over thirty years of Karate practice and teaching in Switzerland- I’ve been regularly visiting and training in Okinawa with my Shorin Ryu Seibukan Karate teacher Grandmaster Zenpo Shimabukuro, son of the late Grandmaster Zenryo Shimabukuro, who himself was a direct student of Chotoku Kyan sensei. Chotoku Kyan was a student of Sokon Matsumura, founder of Shorin Ryu karate style, – and many other masters of his time. The lineage of the Okinawan Shorin Ryu Seibukan Karate is clear and is easily found when one tries to research more about it. A side note: Karate is Karate, but if you mean or teach and practise Traditional Karate, then you need to have behind and in front of you the family of grandmasters- both past and present that support you, and a Karate Philosophy that rejects the Japanese approach to it- which is sport and competition. The Okinawans are not Japanese, historically speaking. As Chotoku Kyan sensei had demonstrated, one is free to have several karate teachers of your choice as long as you inform your other senseis. This is possible in Okinawa because the attitude of togetherness is their cultural trait. In this sense, Okinawans help one another and Karate is not viewed as a competition but just as a vehicle for everybody to train their body and spirit. So, it’s only in Okinawa where you don’t feel this jealousy and competition among the great masters. You often see them working together in seminars and enjoying together a drink of the Okinawan Awamori thereafter. They laugh and dance together and talk about ordinary topics. About Karate, they don’t emphasize the differences in styles and technic, and they don’t compare and judge as to which one is better, but rather respect one another. They don’t even talk about Dan Rankings, etc. What matters to them are your efforts, sincerity and respect to people and tradition. Okinawans of today still hold on to the belief that their land is a “Land Of Propriety”. And this is true also among the masters of Karate, an art refined in Okinawa. I am fortunate to have been accepted as a student by Grandmaster Zenpo Shimabukuro (photo above) for it opened to me the way to the authentic Okinawan Karate and also the way to other masters of other schools of Karate and Kobudo, like Goju Ryu, Uechi Ryu, and other Shorin Ryu styles. So I train also with Master Kinjo Shihode of Uechi Ryu Karate, Master Minoru Higa of Shorin Ryu Kyudukan, Master Kyuna Choco of Shorin Ryu Karate and Master Seiki Takushi of Goju Ryu Karate – and Bojutsu. Not in the photo gallery is Master Morio Higaona of Goju Ryu Karate. Their names, accomplishments and lineage are simply legendary. So, you really don’t go back home empty handed- or, empty-minded, for that matter- each time you meet and train with them. You gain tremendous knowledge and skills, and lose much of your big ego. This is Okinawan Karate. 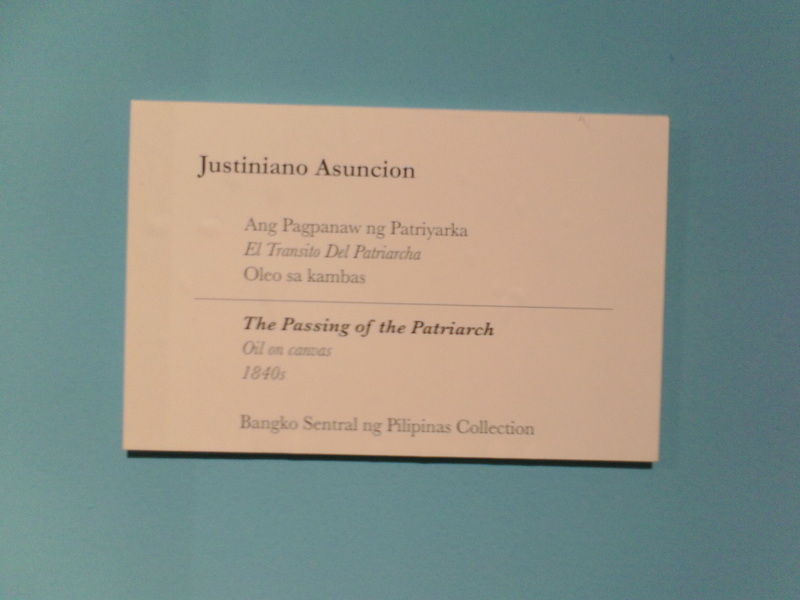 The following photos of the works of Rafael Asuncion, Justiniano and Mariano El Major (or maybe of El Minor) were provided to us by Sonny Asuncion Rayos during his last visit to Manila. Only very few of our relatives are aware of the existence of some valuable works and masterpieces of our forefathers in these museums and in private collections. We owe a lot then to relative like Sonny for his untiring hunt for our lost treasures.